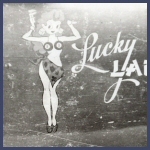 Left click on a thumbnail to open a larger version of the picture in a new window. 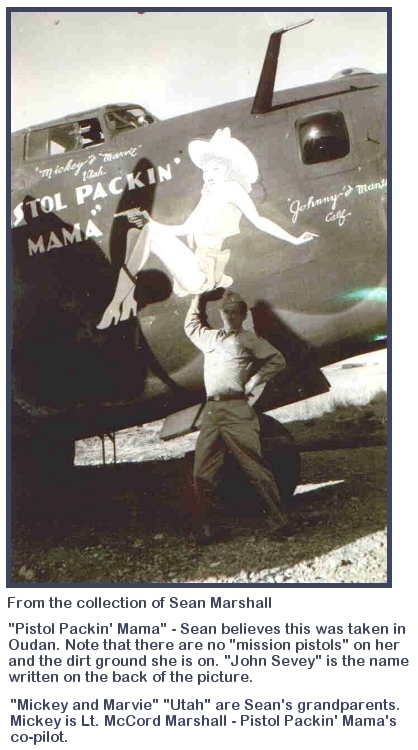 Close that window to return to this page. 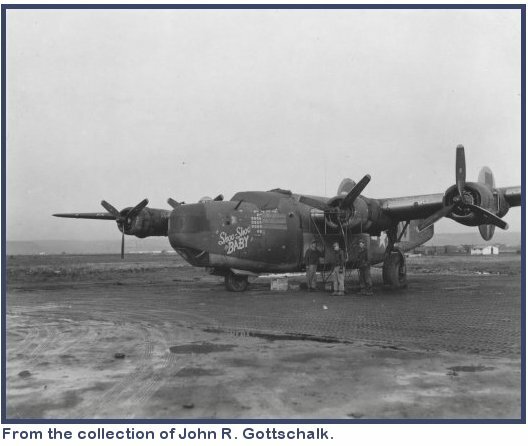 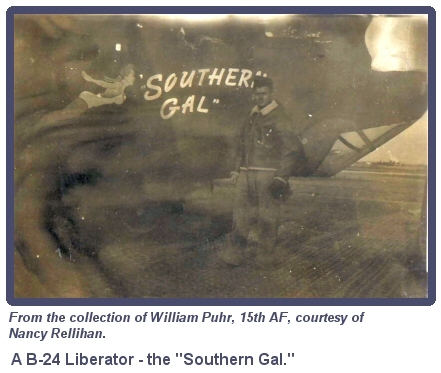 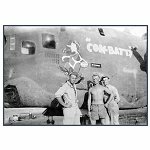 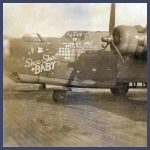 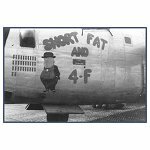 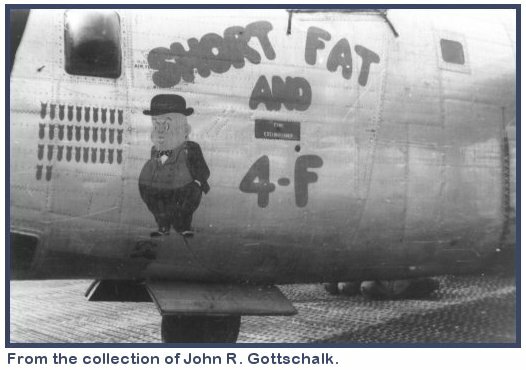 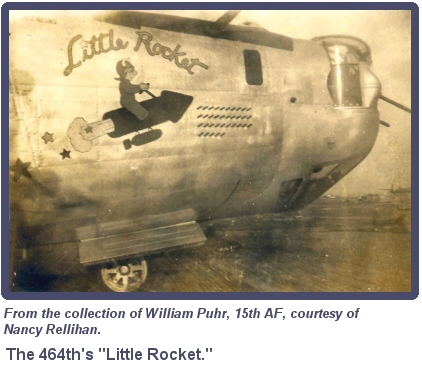 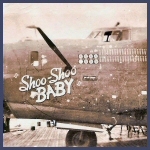 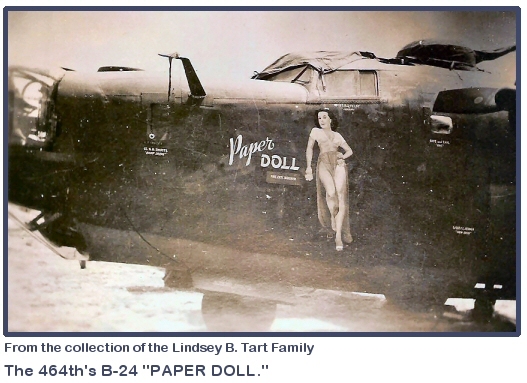 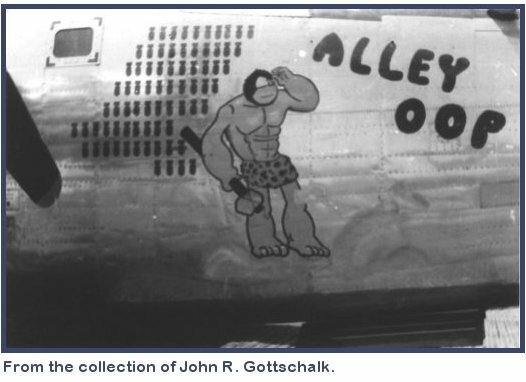 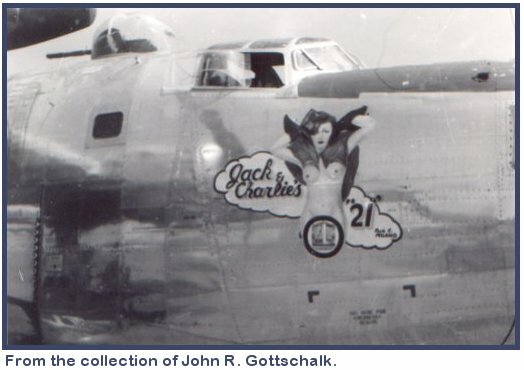 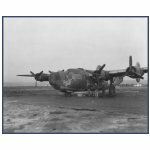 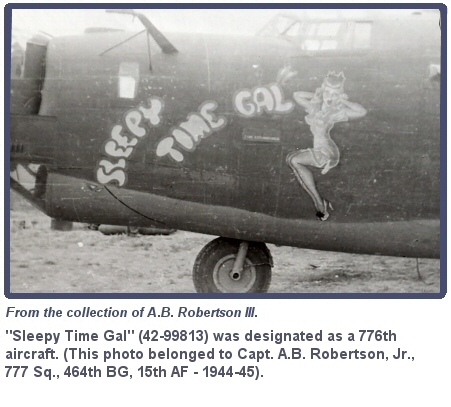 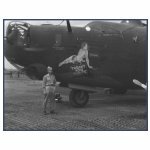 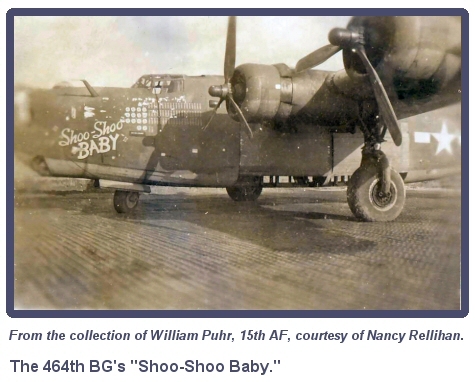 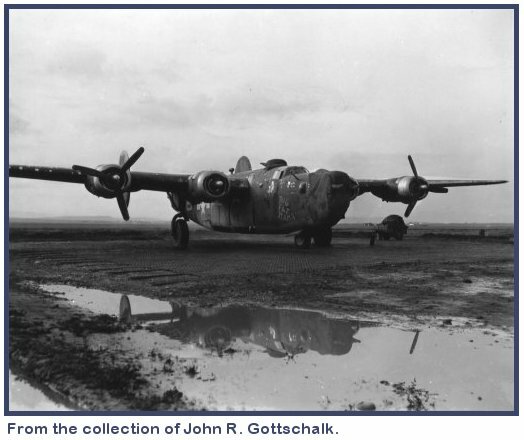 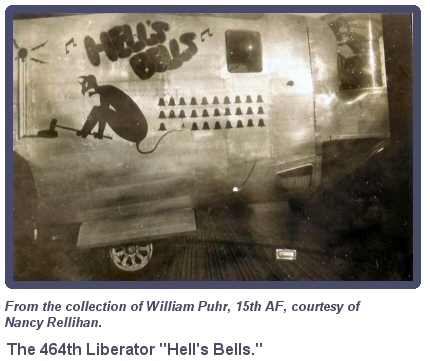 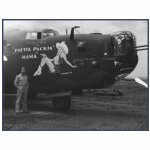 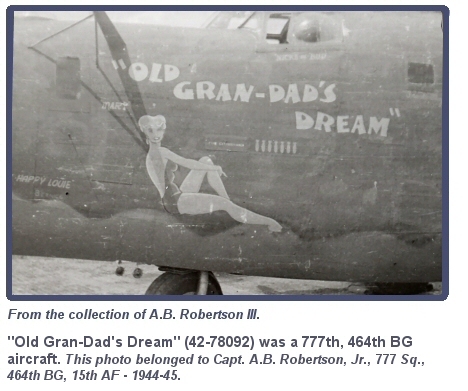 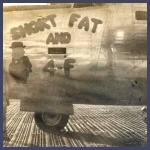 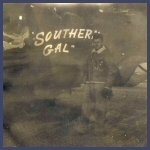 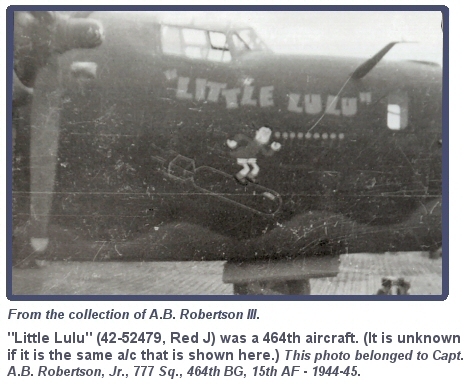 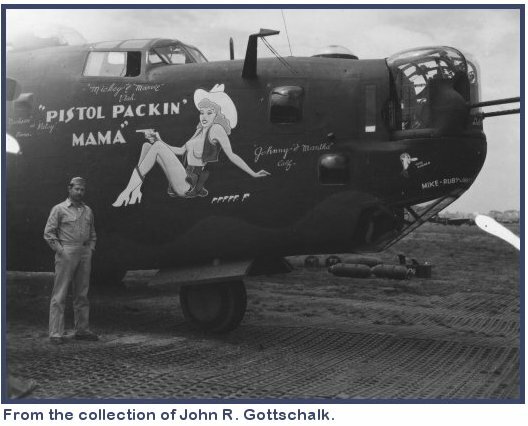 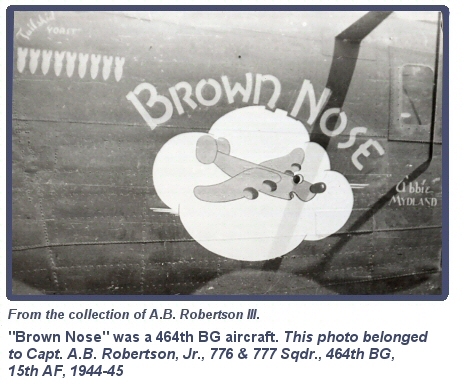 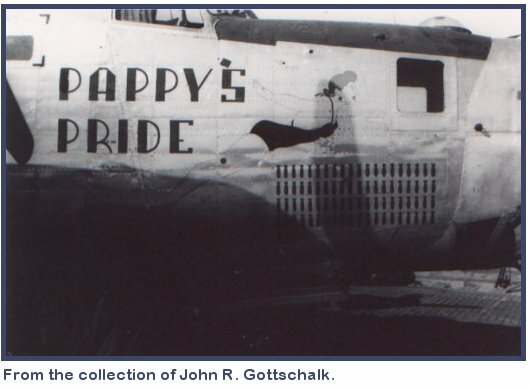 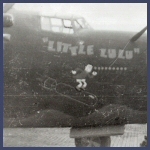 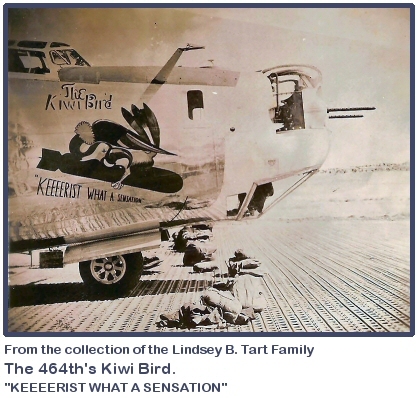 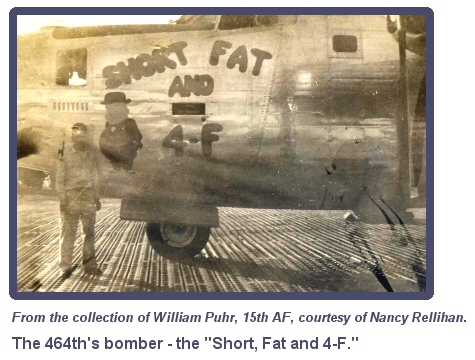 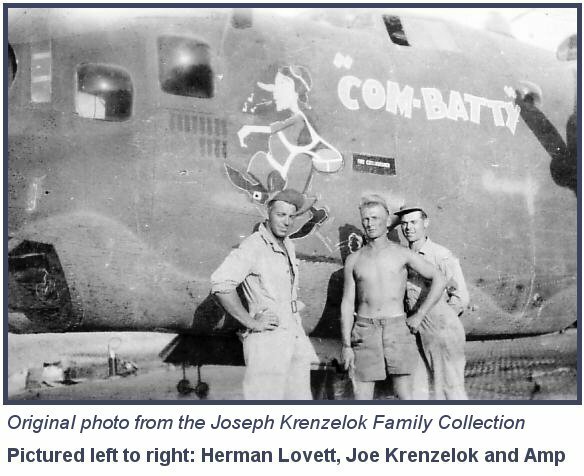 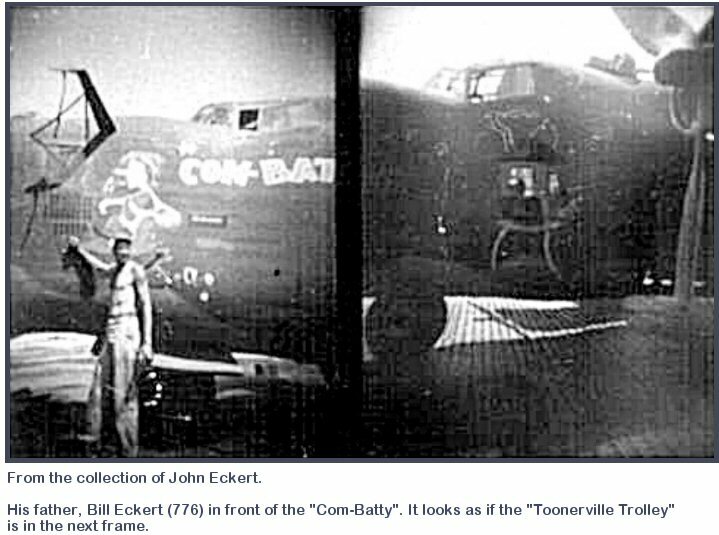 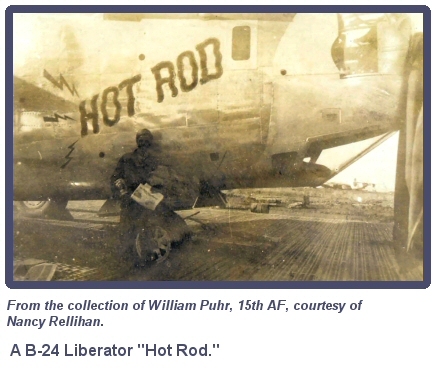 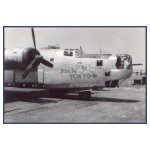 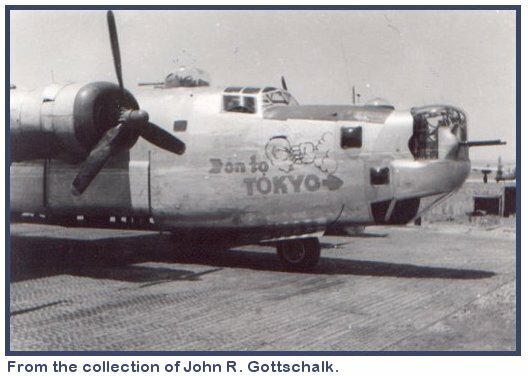 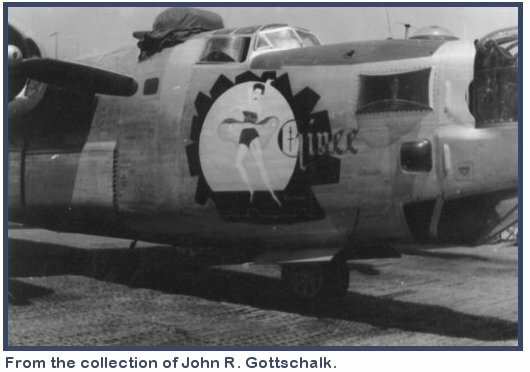 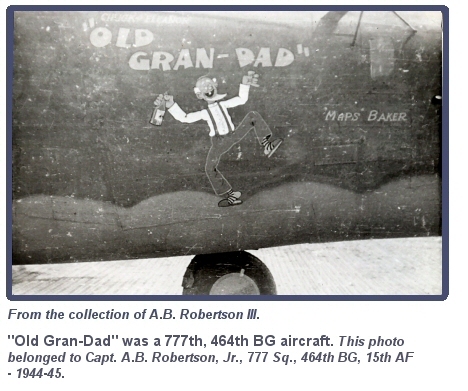 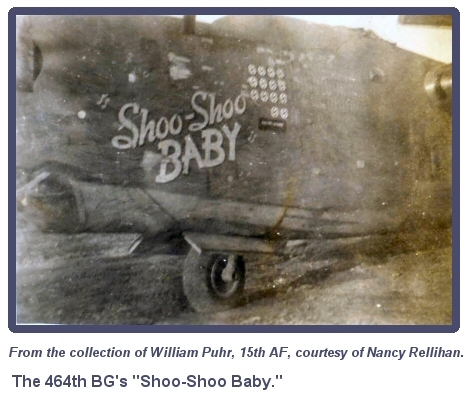 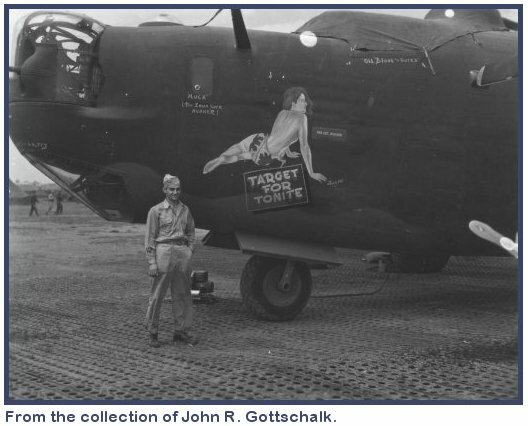 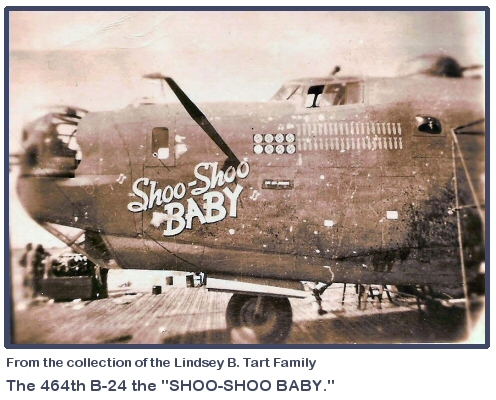 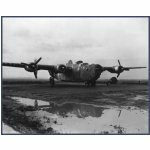 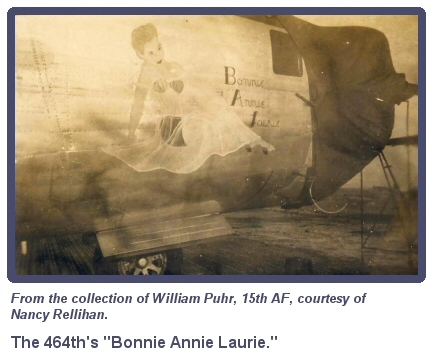 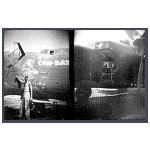 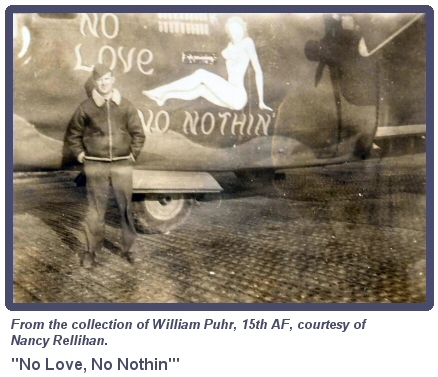 Com-Batty (left) and the Toonerville Trolley, (right) - Two of the 464th's B-24 Liberators. 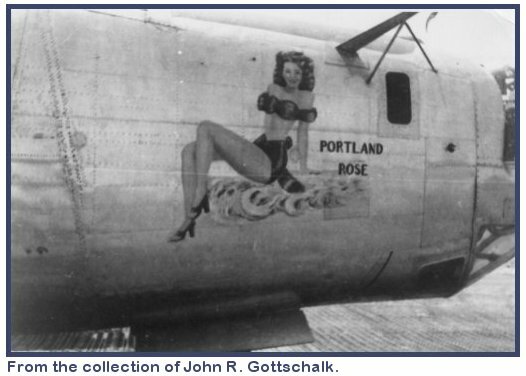 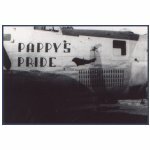 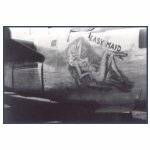 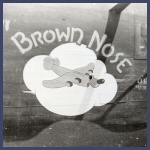 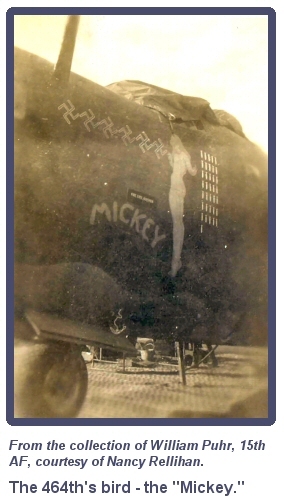 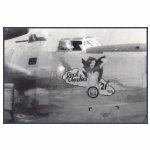 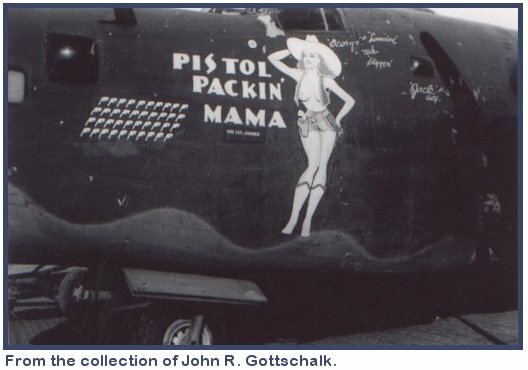 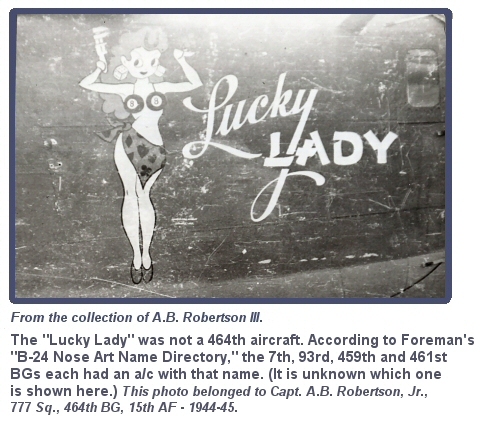 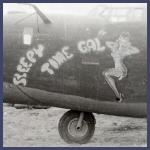 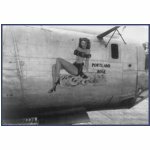 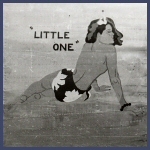 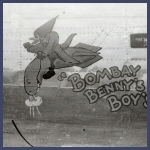 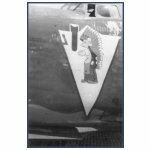 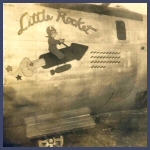 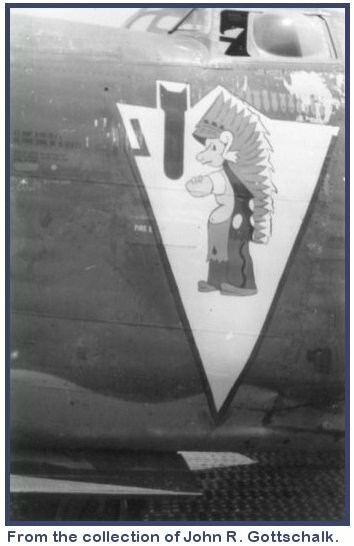 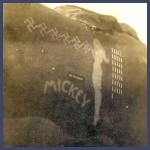 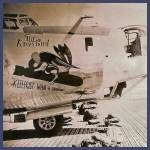 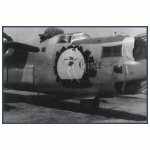 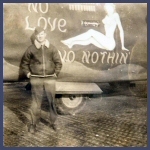 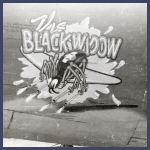 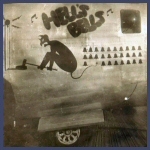 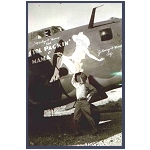 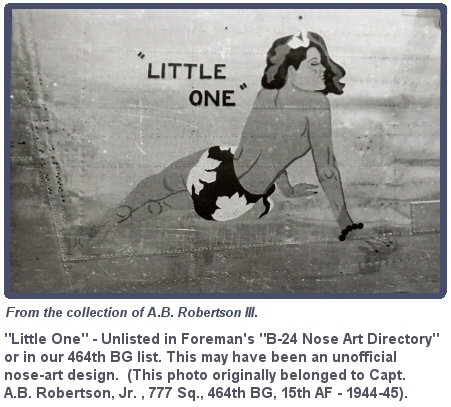 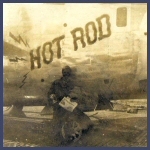 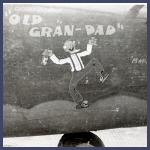 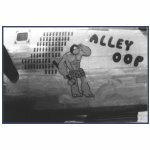 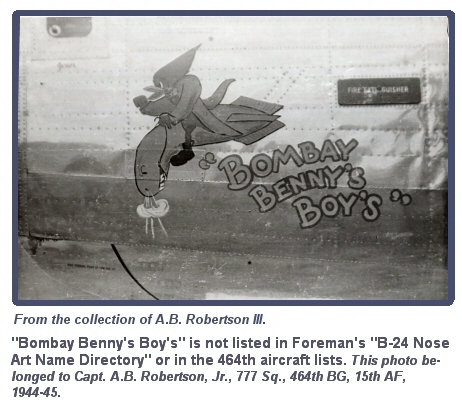 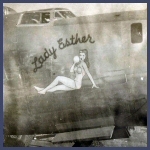 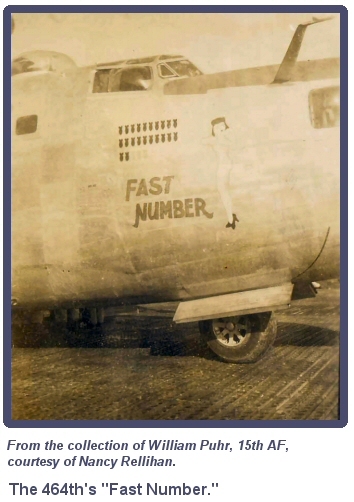 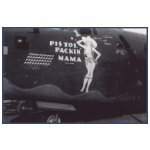 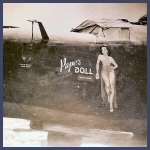 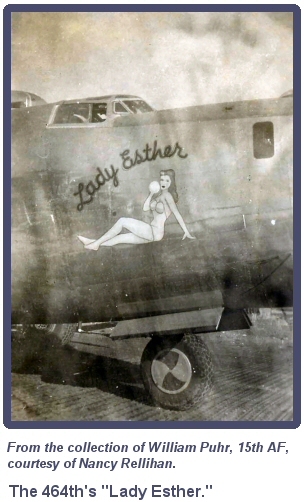 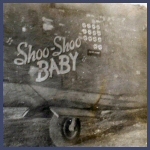 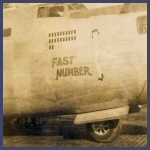 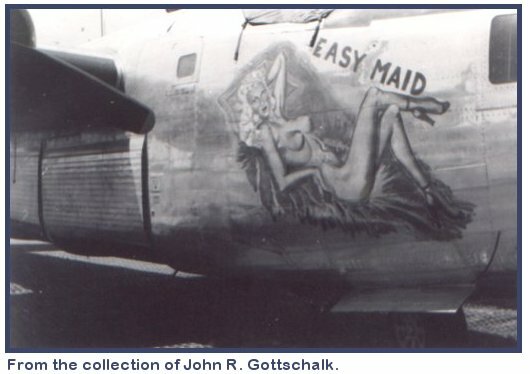 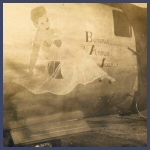 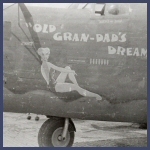 Indian nose art - name and serial number unknown.